The center is bucking its identity as a mall as construction continues on what was once the Ballston Common Mall. 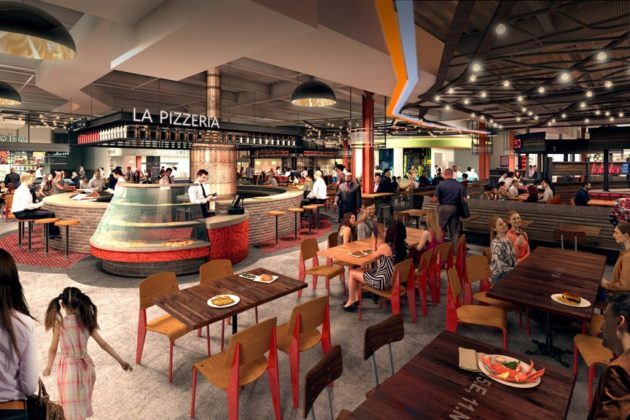 Set to open this fall, Ballston Quarter has already announced hip food options in its 18-restaurant food hall and a marquee entertainment tenant in the planned 25,000 square foot Punch Bowl Social. 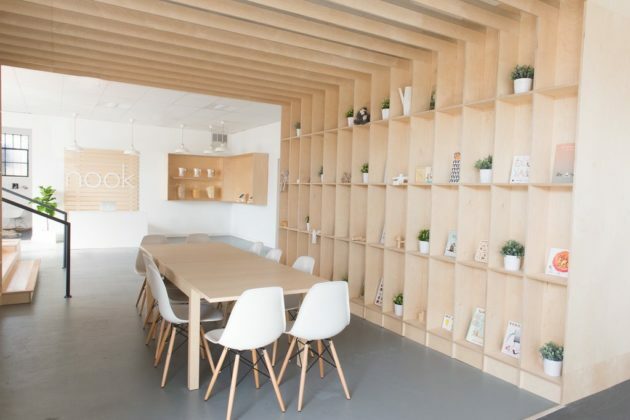 Nook — “A modern indoor play and learning space for young families” that is moving from its current Lee Highway location. Those are also in addition to the existing Regal Cinemas and Sport&Health club, which are undergoing multi-million dollar renovations. More from a Forest City press release, after the jump. Today, Forest City announced the initial group of experiential and entertainment tenants that will be featured at the 850,000 square-foot Ballston Quarter redevelopment project coming to Arlington, VA. Once completed in September 2018, Ballston Quarter will become one of the largest entertainment hubs in the region. 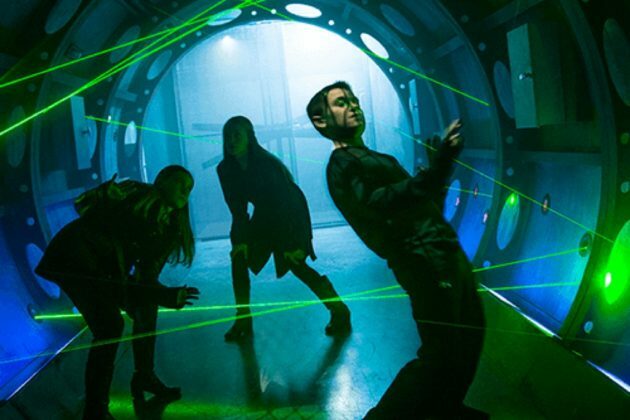 5 Wits: 5 Wits is a live-action entertainment venue that immerses visitors in realistic, hands-on experiences, similar to escape rooms, but with higher quality environments, special effects and more compelling storytelling. 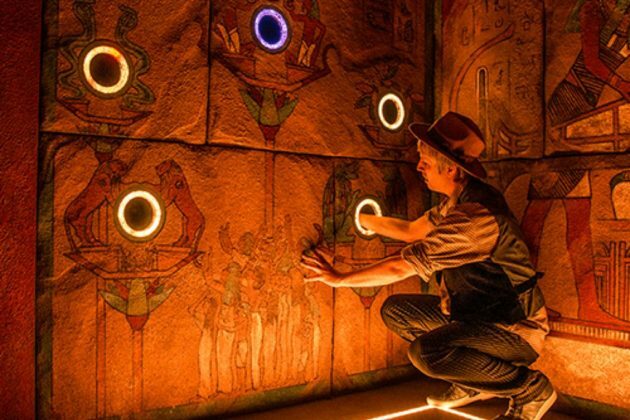 Visitors of all ages feel as though they are an action hero dodging security lasers, tracking down a giant dragon or battling an angry pharaoh. 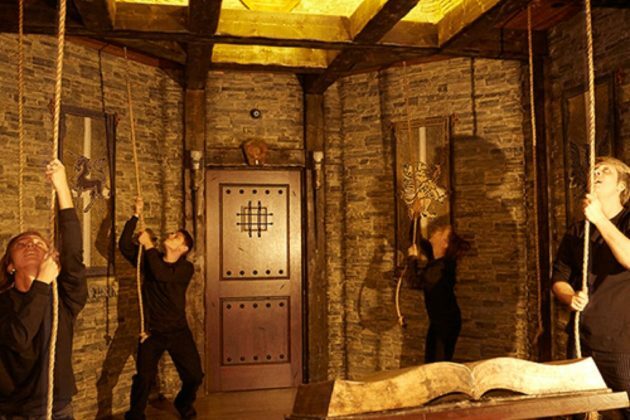 It’s also available for private events such as corporate team-building functions or birthday parties. 5 Wits will open a 11,500 square-foot space in Ballston Quarter in Fall 2018, which will be the company’s seventh location in the country and first in the region. 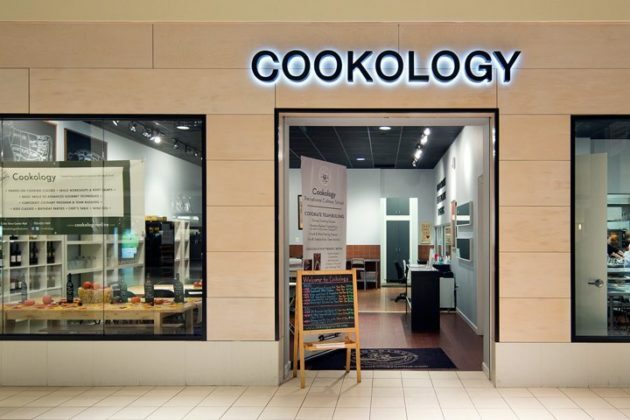 Cookology: Cookology offers professionally taught, hands-on cooking classes for adults and kids, such as gnocchi workshops, family sushi classes and Duck 101, making it the perfect venue for families, date nights or corporate outings. Their professional culinary program offers a 21st century approach to culinary education. 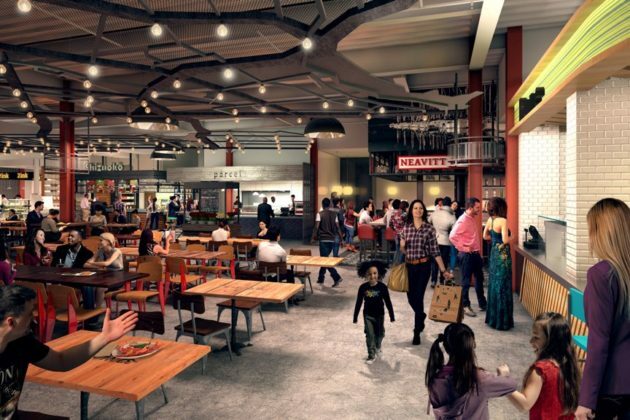 Cookology’s second-ever site and closest to the District at Ballston Quarter will include five commercial kitchens located in a 5,700 square-foot space. 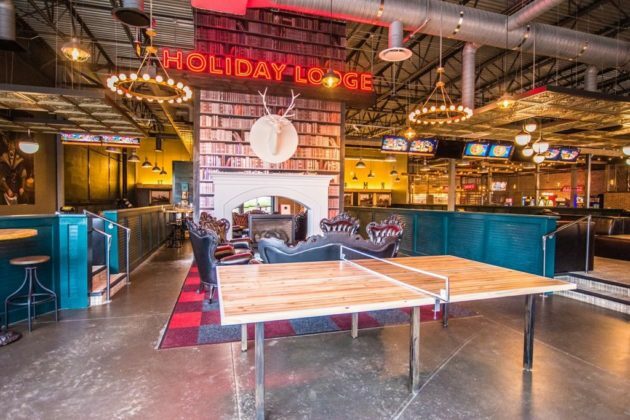 Nook: Nook, a modern indoor play and learning space for young families, is moving its first location in North Arlington to a 3,500 square foot space in Ballston Quarter in Fall 2018. The space is divided into several different themed play areas, or “nooks,” offering children a calming, sensory-friendly space to engage in self-directed, play-based learning. Nook also features classes, hosts birthday parties and offers a variety of family-friendly programming, from classical music concerts to parent workshops and happy hours. 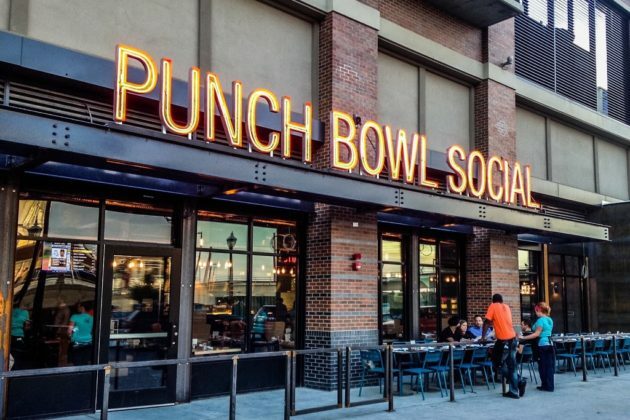 Punch Bowl Social: Punch Bowl Social – a beloved bar, restaurant and entertainment concept – will open a 25,000 square-foot location at Ballston Quarter in Fall 2018, serving as its first location in the D.C. region as part of the company’s nationwide expansion. 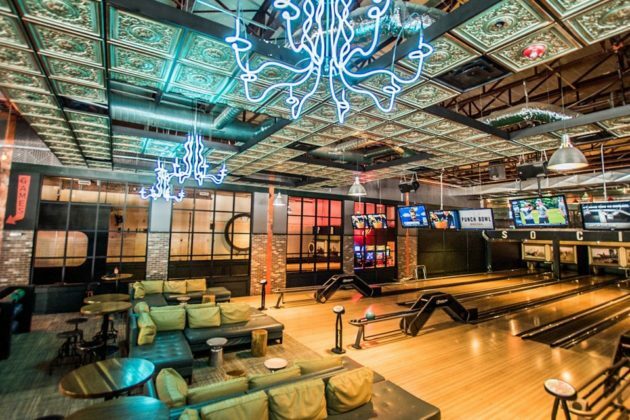 Beyond incredible food and craft cocktails, Punch Bowl Social will feature eight bowling lanes, one bocce court, three private karaoke rooms and a 360 degree bar where visitors can eat, explore and play. 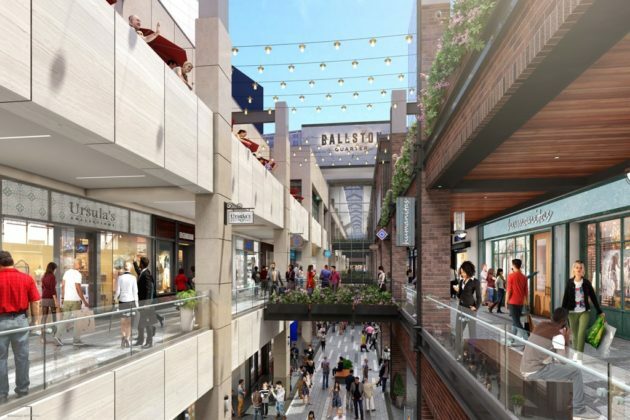 In addition to these new tenants, Ballston Quarter will also be home to a fully updated Regal Cinemas and Sport&Health, which are both currently undergoing multi-million dollar renovations. The 67,000 square-foot Regal Cinemas features reserved, luxury seating in all 12 theaters and a new box office. Once completed, Sport&Health will feature a new cardio center, barre, spin and group fitness studios, and luxurious locker rooms complete with steam rooms and saunas, among many other new amenities within the 35,000 square-foot space. 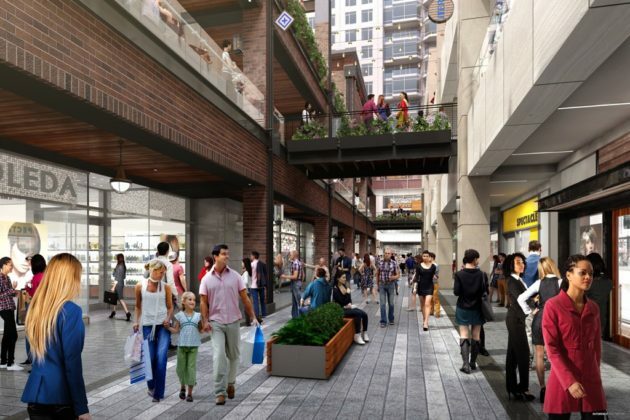 Both are open through Ballston Quarter’s redevelopment. 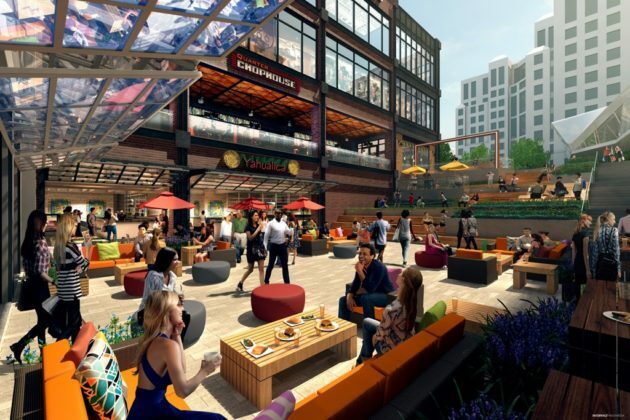 “Although dining and retail will certainly be an important aspect of Ballston Quarter, nearly 40 percent of the property will account for experiential offerings such as 5 Wits, Cookology and Regal Cinemas, among others, positioning Ballston as an exciting and fun, go-to entertainment hub of the region,” said Will Voegele, Forest City’s senior vice president of development. 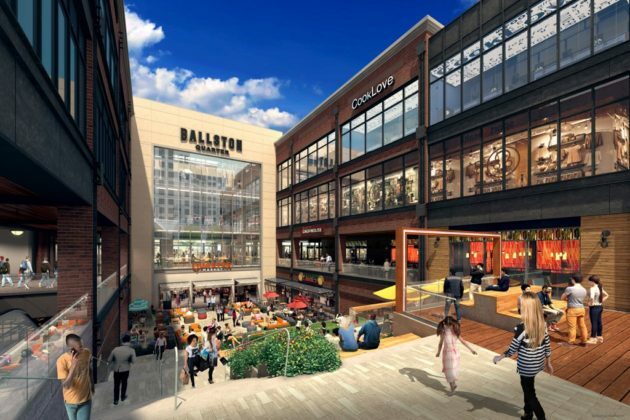 Once complete, Ballston Quarter will feature 360,000 square-feet of retail, an 18-restaurant, 25,000 square-foot food hall, a 22-story, 406-unit residential building, 176,000 square-feet of office space and a completely renovated Ballston Common Mall–all designed with the community in mind and the creation of a true city center in Northern Virginia.